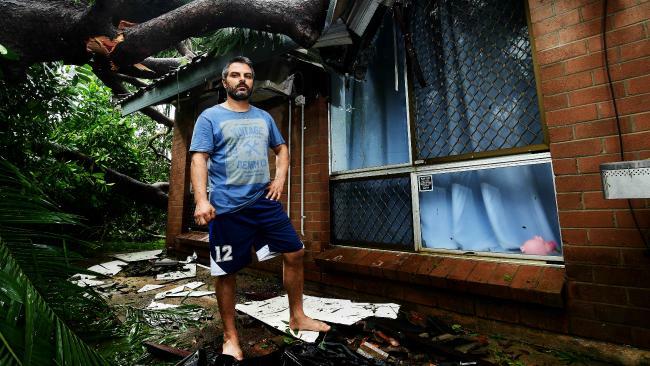 THANASI and Lisa Zaimakis were supposed to be celebrating their two-year-old daughter's birthday today but instead they will be cleaning up after an African mahogany tree smashed through their Karama residence. The family was also hoping to move into the recently renovated house this weekend. 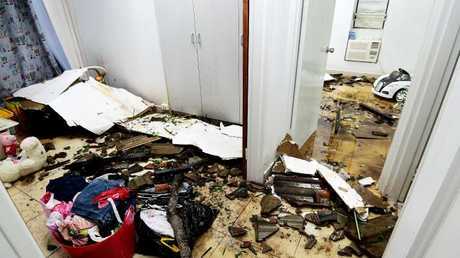 Bits of roofing fell from the ceiling, while the family's belongs lay water-logged on the floor. Peppa Pig, a bunny rabbit and a little ride-on car for their daughter lay in the rubble. Late yesterday afternoon Mr Zaimakis and his friends were doing their best to mop up the water despite the threat of more rain. The couple had been saving up for more than three years before they bought the house and had spent the last few months renovating it. Tropical Cyclone Marcus, however, dashed those plans. Yesterday afternoon a pregnant Ms Zaimakis had not yet seen the damage to her new home in person as she hunkered with her parents and daughter through the cyclone. "I'm pregnant and I think I'll end up in shock (if she saw the house). My husband has sent me videos, it was supposed to be my daughter's birthday and we were moving in (this weekend) but that won't be happening now," she said. "At least my daughter wasn't sleeping there, that's where her bed would have been." Thankfully insured, Ms Zaimakis said they had been told not to clean up until their insurer had visited to inspect the damage. "How can you clean up a water-logged house, they'll need to repair a lot of things in the house." 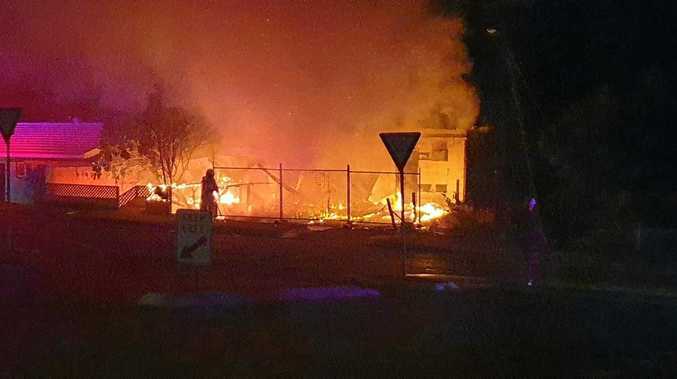 Mr Zaimakis, through an interpreter, said he slept at the house on Friday night and was in shock that his home had been destroyed. "He went outside to feed his dog and he heard a big crash but the (hallway) door was shut so he didn't know how bad the damage was," he said. The family had made previous complaints to council concerning the tree. They believed it to be unsafe. "Yeah they knew that it was a potential danger as they had been reporting it," Mr Zaimakis said through his interpreter. "He's quite upset because they were looking forward to moving in and starting their new life in their new home."